According to the latest odds released by the United Kingdom bookmakers, Sky Bet, Inter Milan are currently the favourites to secure the services of Anthony Martial from Manchester United when the transfer window reopens in January. The Italian giants are currently priced at 3/1 to snap up the French talent during the winter transfer period. Martial has enjoyed a rich vein of form of late after finding the back of the net four times in his last three league starts for the Red Devils. The French forward has slowly but surely managed to establish himself in Jose Mourinho’s starting XI but is yet to pen a new deal at Old Trafford which has thrown his future in doubt. The 22-year-old signed for Man United from AS Monaco in the summer of 2015 and has since gone on to make 148 appearances in the red colours of Manchester, scoring 42 goals while creating 26 assists across all competitions. At such a tender age, Martial has shown a lot of quality on the pitch but has not been able to find consistency regarding getting goals. He has a habit of blowing hot and cold which is one of the main reasons why the Frenchman often found himself on Mourinho’s bench during the early stages of this campaign. What Does Martial Add To Mourinho’s Team? There is no doubt about the French striker’s quality as he has a lot of pace in his locker which helps him make some darting runs behind the opposition backline. He is also very useful while running at defenders and has a knack for converting chances when one presents itself. United cannot afford to let go of a player of Martial’s talents as he brings a lot of quality to Mourinho’s first-team. Moreover, at 22, the French talent is yet to embark upon his peak years so the Red Devils would be foolish not to capitalise on his incredible potential over the next few years. Mourinho will have an important decision to make regarding Martial’s future at Old Trafford soon. So as long as the player can keep producing the goods on the pitch, there is no reason why the United boss needs to part ways with him in the near future. Former Celtic Forward Thinks Rodgers Should Sell Defender: How Should The Manager Play This? Manchester United To Trigger Martial’s Contract Extending Stay: Smart Decision For All Parties? 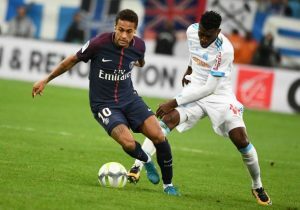 Manchester United In Talks With Paris Saint Germain Over 26 Y/O Superstar: Story To Fill The Pages? Manchester United Reportedly Plotting Big Money Swap Deal With Chelsea: A Win-Win Scenario? Manchester United Wants Blockbuster Swap Deal In Pursuit Of 26 Y/O Superstar: Good Move For All? Manchester United Adamant That French Starlet Not Up For Sale: Does He Have A Future At Old Trafford?